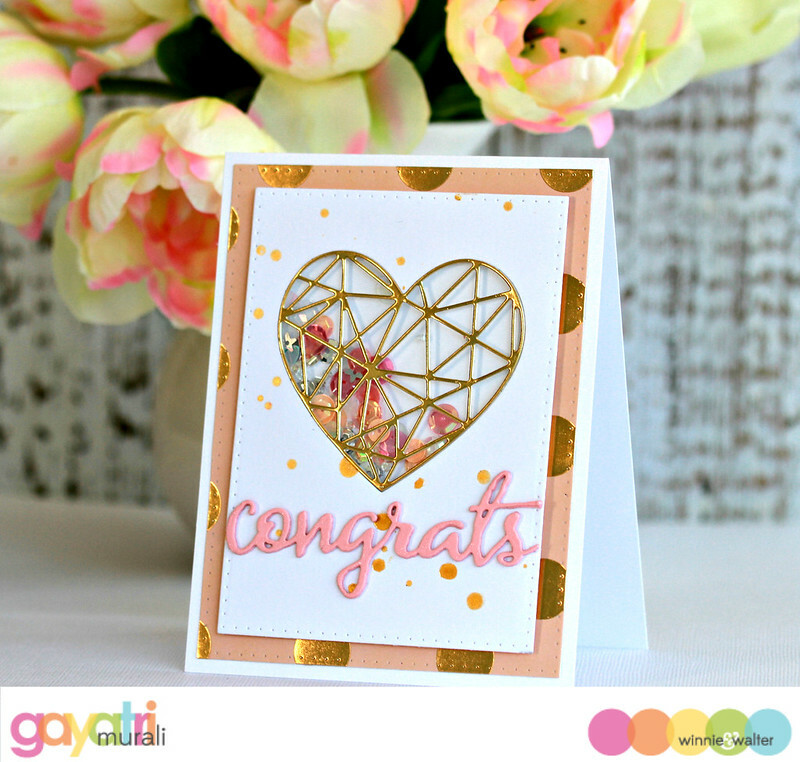 Today we are premiering Kindness with Evelin T Designs stamp set, True Multifaceted Circle Cutaways and True Multifaceted Heart Cutaway. All three of them are awesome especially the dies. I made two cards one using the stamp set and other using the Cutaway. So have a cuppa and enjoy. The first card is uses the Kindness with Evelin T Designs stamp set. I love the images on this set especially the succulents. I masked and stamped the larger and smaller succulent images on watercolour paper and white heat embossed. Then used Zig Clean brush watercolour pens to colour the images, the background and also ground the plants. I trimmed the paper, wrapped the twine around to make a bow. The sentiment is white heat embossed on black strip of cardstock and adhered. The rest of the sentiment is stamped inside the card. 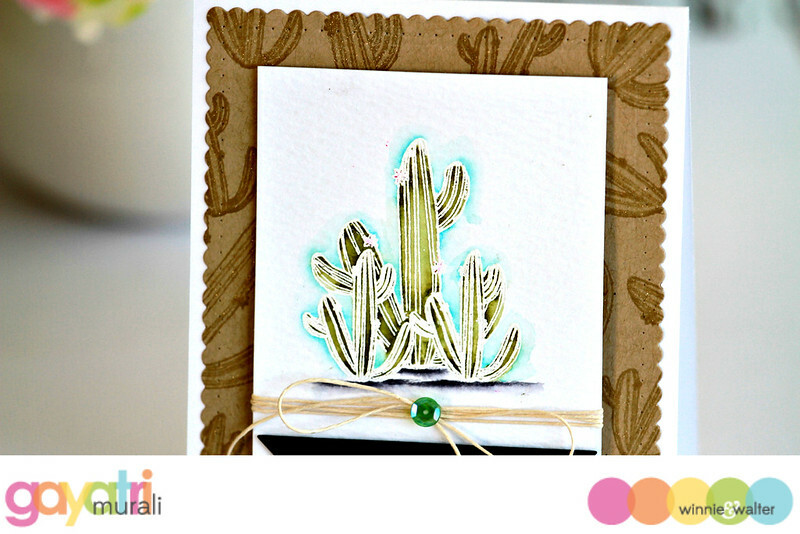 For the background, I stamped the same succulent images on kraft cardstock using kraft ink. Then brushed the images with clear shimmer using Wink of Stella. I used the scalloped rectangle die from Essentials: Audrey Cutaway to die cut the background panel. To assemble the card, I simply layered all the panels on white card base and attached a sequins on the centre of the bow. For the second card, I used True Multifaceted Heart Cutaway to make a shaker card. 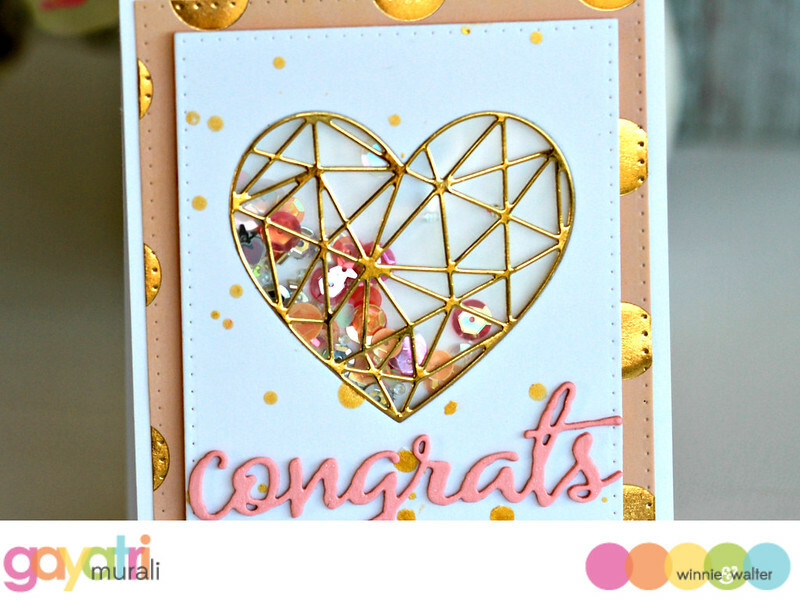 I made a shaker element using the solid heart shape and layering it with the multifaceted heart die cut using gold foil paper. I have added the new Winnie’s Sequins collection by Little Things by Lucy. I love this sequins collection. Perfect pretty colours. The sentiment is from older The Big, the Bold and You Cutaway. I die cut five of it and stacked glued them to get dimension. Both the shaker panel and the pattern paper panels are die cut using dies from Essentials: Katherine Cutaway. LOVE the soft pink colour on white with gold accents. Normally I do not use these colours but I really like how this card turned out. Both very different, but gorgeous. These are really great cards Gayatri. I especially like the 2nd one. Its beautiful. Really pretty cards, love both of these designs and color combos! 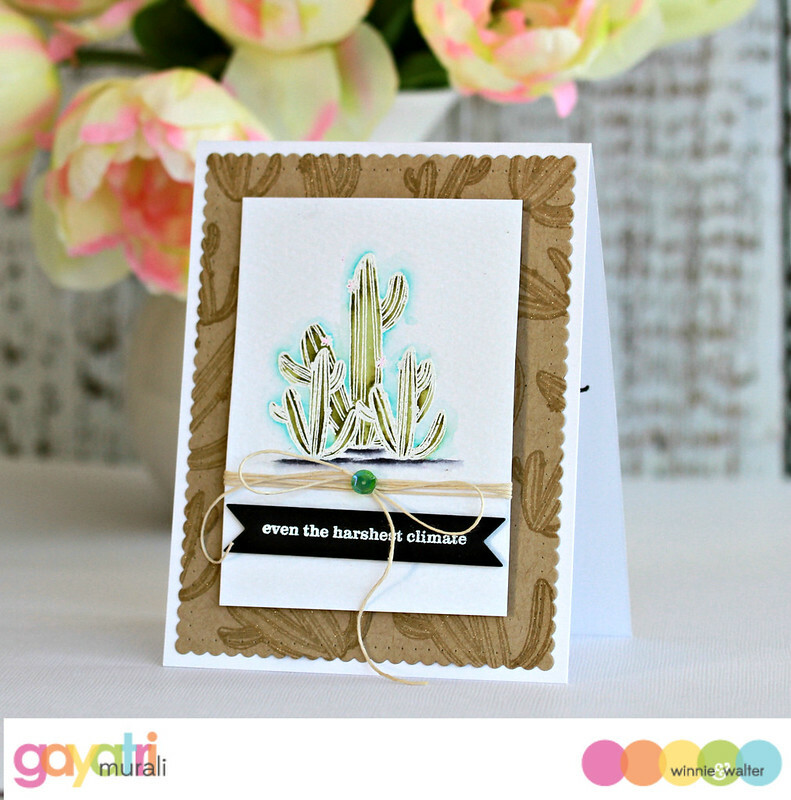 Love the way you colored your cactus! Draws you in!